The Wulff School of Fly Fishing is located in the Catskills, the birthplace of dry-fly fishing in America, on its best known river, the Beaverkill. The School's 100 acres in the upper Beaverkill Valley is a beautiful setting of forest, meadow, and ponds. Our school building was especially designed to meet our teaching requirements. An adjoining private stretch of the Beaverkill is used to teach wading, streamcraft, and obstacle casting. Students with extra time may enjoy fishing the Delaware's main stem, plus the East and West branches, as well as the trout-rich no-kill stretches of the Beaverkill and Willowemoc. Availability is limited, reserve now by calling (845) 439-5020 or send us an email request. This is our all-encompassing trout course, good for beginners and experienced trout fishermen alike. In addition to the theory and practice of casting* on ponds and in the river, you'll learn about stream entomology, fishing knots, reading water, tackle know-how, fly selection, approach and presentation, wading, playing, landing and releasing fish. Joan's Fly Casting Techniques is provided as a textbook,* including use of videotape on one of the six sessions. This course is the ideal follow-up to the Trout Course.  The course is designed to improve any angler's casting skill in fresh or salt water because we can instruct individually and move at each student's pace. The course includes tackle know-how, casting patterns for stream coverage, accuracy, shooting line, and – depending on student's interest and ability - handling heavy flies, double haul casting, oval cast, curves and mends, spey and quick casts, kayak or canoe casting and other advanced techniques. Joan's casting DVD and her book, Fly-Casting Techniques, are the texts. This class will be conducted by Joan, Sheila and Dennis. Experience with the Wulff School casting method, through the Casting School, is strongly recommended. Bring with you the Fly Casting Techniques book that you already own. The school will also provide a picnic lunch on days 2 and 3. Class begins the first day at 2pm and 9am on the following two days. There will be a break for a picnic lunch and the school will end at 5:30-6:00pm each day. Your evenings will be free for dinner on your own or with a group at "local" restaurants. *Tuition includes Joan's DVD Dynamics Of Fly Casting, and a FLY-O. We ask our students who own waders to bring them for the stream session. It is not necessary to buy them in order to come to class, however, as we have several pairs available. If you would like to bring your own rods, reels, etc., you are free to do so. But do not buy new equipment just to come to class, as we will provide it. On Sunday afternoon, you'll get to try all the rods we have at our "rod testing session." This way, you'll have a better idea of what to buy when you are ready to purchase new, or first-time gear. We also have some of our teaching aids and books available at our School Store. How do you make reservations? How old should children be? We suggest that children are at least 10 years old, and have their own interest in fly fishing. Due to the intensity of the course, it is not recommended for younger children. What is the best airport access? How do I find the School? What type of accommodations are there? Below are a list of local accomodations from rustic camping to cozy Inn's. Which ever you choose, please mention that you are attending the school when making reservations. Rates shown may be subject to change.